Please click on the images below to learn more about our awards. The Human Rights Campaign (HRC) Foundation has recognized Sinai and Northwest hospitals as leaders in the equal treatment of lesbian, gay, bisexual and transgender (LGBT) patients and employees. The HRC is the educational arm of the largest LGBT civil rights organization in the United States. The findings are part of the foundation’s Healthcare Equality Index 2014, a unique annual survey that encourages the same care for LGBT Americans that everyone else receives and recognizes healthcare institutions that meet or exceed certain guidelines. Sinai Hospital and Northwest Hospital earned a Get with the Guidelines GOLD PLUS stroke award. The American Heart Association and American Stroke Association recognized Sinai and Northwest for achieving 85% or higher adherence to all Get with the Guidelines Stroke Performance Achievement indicators for consecutive 12-month intervals and 75% or higher compliance with 5 of 8 Get with the Guidelines Stroke Quality Measures to improve quality of patient care and outcomes in addition to Time to Intravenous Thrombolytic Therapy ≤ 60 minutes in 50% or more of applicable acute ischemic stroke patients (minimum of 6) during one calendar quarter. LifeBridge Health was presented with several awards by Practice Greenhealth, the nation’s leading health care membership community that empowers its members to increase their efficiencies and environmental stewardship while improving patient safety and care. Practice Greenhealth Environmental Excellence Awards recognize health care facilities, business and organizational members for their demonstrated commitment to environmental practices and sustainability. Sinai Hospital earned a Greenhealth Emerald Award, Levindale Hebrew Geriatric Center and Hospital earned an Emerald Award, and Northwest Hospital earned a Partner for Change Award. 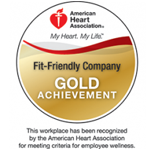 In 2014 LifeBridge Health was recognized as a Gold Level Recipient of the American Heart Association’s Fit-Friendly Worksites Recognition program, which is a catalyst for positive change. Worksites throughout the nation are honored with this award by making the health and wellness of their employees a priority. This includes promoting a wellness culture by implementing physical, nutritional and cultural changes that will create a healthy and positive outcome for all employees. To learn more about the Fit-Friendly Worksite program. Sinai Hospital of Baltimore received the American Nurses Credentialing Center's highest honor for nursing excellence, making it the first and only community/teaching hospital in Maryland to carry the elite "Magnet" designation. In 2013 Sinai Hospital earned a Get with the Guidelines GOLD PLUS stroke award. The American Heart Association and American Stroke Association recognized Sinai for achieving 85% or higher adherence to all Get with the Guidelines Stroke Performance Achievement indicators for consecutive 12-month intervals and 75% or higher compliance with 5 of 8 Get with the Guidelines Stroke Quality Measures to improve quality of patient care and outcomes in addition to Time to Intravenous Thrombolytic Therapy ≤ 60 minutes in 50% or more of applicable acute ischemic stroke patients (minimum of 6) during one calendar quarter. LifeBridge Health is the first Maryland business to receive a Pregnancy-Friendly Workplace designation from the March of Dimes. In 2008 LifeBridge Health was named as a “Best Place to Work” for the second time by the Baltimore Business Journal. Companies are named Best Places to Work based on their results in a free workplace survey conducted by Quantum Workplace. Eligible companies have a workforce located in Baltimore City or Anne Arundel, Baltimore, Carroll, Harford or Howard counties. In 2006 LifeBridge Health was named the overall winner for the Maryland Employer of Distinction in the over-500 category hosted by the Maryland Chapter of the Society for Human Resources Management. The Maryland Employer of Distinction Award is an annual recognition program honoring employers in the state of Maryland for the achievements and practices of their human resources department in the overall development of the organization. In 2006 LifeBridge Health & Fitness was awarded a silver Healthcare Advertising Award for its “Health & Fitness Wonders” advertising campaign. The Healthcare Advertising Awards, sponsored by the Healthcare Marketing Report, is the oldest, largest and most prestigious advertising awards competition in the healthcare industry. Sinai Hospital earned a prestigious recognition as a Leapfrog Top Hospital, joining an elite group of just 91 other hospitals nationwide in 2012. The Leapfrog Group is a national leader for recognizing patient safety and quality at hospitals. The Stroke Center at Sinai is certified by The Joint Commission (national) and the Maryland Institute for Emergency Medical Services (state) as a Primary Stroke Center, signifying that it meets the highest national standards and has the critical elements to achieve long-term success in improving outcomes. It also means that community hospitals without services for stroke care transport patients to Sinai, depending on the needs of the patient. When time permits, the Emergency Medical System (EMS) take patients both within and outside of Sinai's service area directly to Sinai because of its recognized program. In 2008 Sinai Hospital was named one of the Top 50 Neurology and Neurosurgery Hospitals by U.S. News and World Report. To be eligible for the ranking, a hospital must first belong to the Council of Teaching Hospitals, and be affiliated with a medical school or have a specified number of technology services. In 2007, Northwest Hospital was named one of the nation’s top acute care hospitals by earning the prestigious CareScience Select Practice award, recognizing excellence in patient care. The hospital received the award for ranking in the top 1 percent of 4,500 acute care hospitals nationwide. 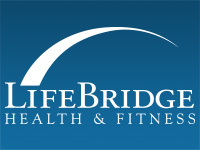 LifeBridge Health was ranked 96 on Fortune Magazine's 2010 list of "100 Best Companies to Work For". The full list and related stories appear in the February 8, 2010 issue of FORTUNE, and at fortune.com/bestcompanies. LifeBridge Health is one of four Maryland-based companies and the only Maryland-based health care system to make the list. In April 2009, the Baltimore Business Journal presented LifeBridge Health the 2009 award for Green Policy. We are specifically recognized for our annual reduction in energy consumption. Sinai Hospital of Baltimore, Northwest Hospital and LifeBridge Health & Fitness are committed to providing physical activity and wellness opportunities for our employees. For the first time Northwest Hospital, is recognized as a Gold Level Recipient of the American Heart Association's Start! Fit-Friendly Companies Recognition program. Sinai Hospital and LifeBridge Health & Fitness have been awarded the Start! Fit-Friendly Companies award for the fourth year in a row. The Bariatric Surgery Program at Sinai Hospital has been designated a Center of Excellence by the American Society for Bariatric Surgery (ASBS). Sinai Hospital received the designation of all Three Stars and Higher Efficiency as a United Health Premium Cardiac-Rhythm Management Speciality Center. This award designates facilities offering quality, cost-effective cardiac procedures and cardiac care services.